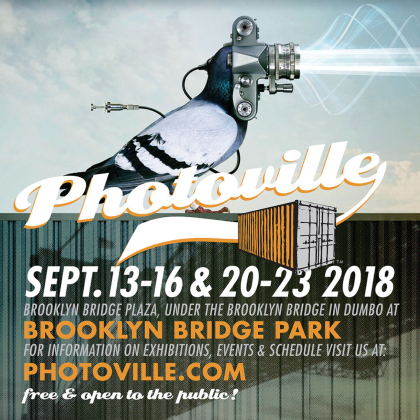 “For its seventh edition, Photoville will present work by more than 600 artists in 90 photography exhibitions & outdoor installations, providing an accessible venue for the public to experience both challenging and entertaining visual stories from a diverse group of artists, curators and organizations. Located in Brooklyn Bridge Plaza section of the park, the exhibition will run from September 13 through the 23rd. 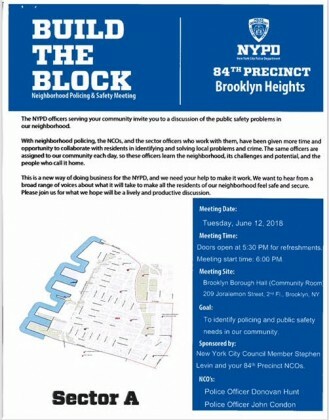 This Tuesday, June 12, we are having our next Neighborhood Safety Meeting at Brooklyn Borough Hall, 209 Joralemon St., 2nd Floor, at 6:00pm. Come by and join the discussion going on in and around the community, ask questions, or just listen to what others are talking about. Refreshments will be served. Please forward to your neighbors and colleagues. Hope to see you all there. 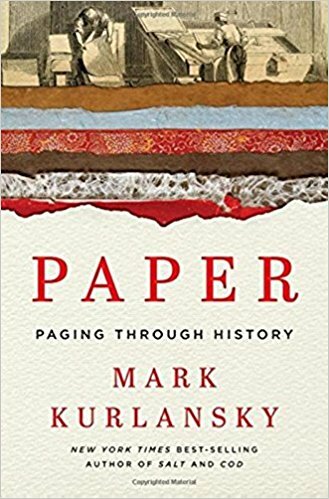 It’s a busy week at the Brooklyn Historical Society, with three evening events. All begin at 6:30, and admission for each is $10, or $5 for BHS members. Links to buy tickets are below. On Wednesday evening, May 24, Daniel Sharfstein, professor of law and history at Vanderbilt University, will be joined by New York Times editorial writer and author Brent Staples, to discuss Sharfstein’s book Thunder in the Mountains: Chief Joseph, Oliver Otis Howard, and the Nez Perce War. The book deals with an historic irony: how Howard, an abolitionist and Union Army Civil War hero, persecuted “a brutal military campaign against the Nez Perce tribe and their leader, Chief Joseph, an outspoken opponent of forced relocation.” More information and buy tickets here. When you get a chance, go down to Empire Stores in DUMBO and visit BHS’s new exhibition site. On display there now are many striking photographs of the Brooklyn waterfront. One that particularly caught my eye was of the Harbor View Lawn on Brooklyn Bridge Park’s Pier 1, before a summer “Movies With a View” screening, taken from an open helicopter door directly above and showing the lawn almost covered with blankets arranged in a neat array and people sitting on them or walking around. Studies show that for all its diversity, NYC has one of the most segregated public school systems in the country. Almost two academic years after the re-zoning of P.S. 8 and P.S. 307, the District 13 Community Education Council will hold an important forum on Tuesday evening (May 16th) as part of its scheduled calendar meeting. Desegregation: Where We Are Now & Envisioning a Path to the Future will feature panelists Councilmembers Laurie Cumbo and Steve Levin, New York Times reporter Nikole Hannah-Jones and WNYC reporter Yasmeen Khan. The event takes place 6:30 – 8:30 pm at P.S. 307, Daniel Hale Williams, 209 York Street in Brooklyh. Boo, Eek! Halloween is finally upon us!! 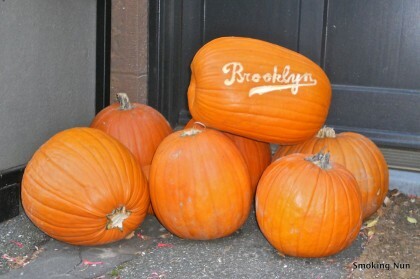 Here’s a round up of the best of what our end of Brooklyn has to offer. Add additional events or photos of your Halloween celebrations in the comments. Hands down, parents in Brooklyn Heights know the two best places to be on Halloween are Garden Place and Grace Court Alley. (So do all the parent blogs, thanks for the shout out Mommy Poppins). There, the kiddos can roam safely from one beautifully (or creepily) adorned stoop to the next. Peak trick or treating time is just before sundown but “the littles” are often out early, just after school dismissal. Now in its 19th year, the students of City Tech’s theater group, Theaterworks and the Entertainment Technology Department, are aiming to scare the pants off of you with their haunted house. Older kids and adults will be impressed by the theme-park level of design and production value. Enter if you dare! The Dumbo BID is offering a variety of activities starting with storefront trick or treating (4:00 – 7:00 pm) throughout the neighborhood (look for the pumpkin decal in shop windows). The annual costume parade, “March to the Arch” (4:30 pm) led by the Funkrust Brass Band with puppets from Great Small Works will wend its way from Brooklyn Roasting Company at 25 Jay Street to the Manhattan Bridge Arch. Immediately followed by the Archway Kids Party (5:00 – 7:00 pm) and a Pet Costume Soiree (7:00 – 10:00 pm) both in the Manhattan Bridge Archway. The Brooklyn Academy of Music invites families to start their night of trick-or-treating at their free outdoor Halloween block party. The event promises a bouncy house, costume contest and more. This year’s one-night-only, one-of-a-kind, all-ages theater spectacle (put together by an all volunteer cast of kooky and creepy Clinton Hill characters) is an invitation to take “an old-fashioned stroll down the Coney Island Boardwalk [to] explore the DARK side of magic—that place where the forces of GOOD and EVIL fight for your soul…but only one will win!” Shows repeat every 30 minutes. The block will be closed off to cars. Spectators come from all corners of NYC, go early for the best viewing spots. Dress to impress and strut your stuff. The leaves are turning, a brisk chill is in the air. Fall is finally here and that means Oktoberfest! 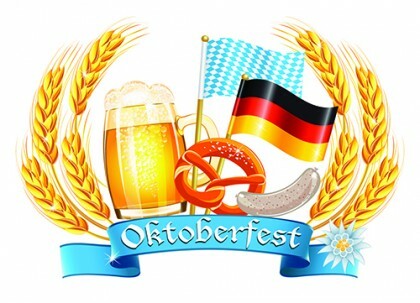 This Saturday, October 1st The Zion German Lutheran Church is holding its annual Oktoberfest dinner at 125 Henry Street. 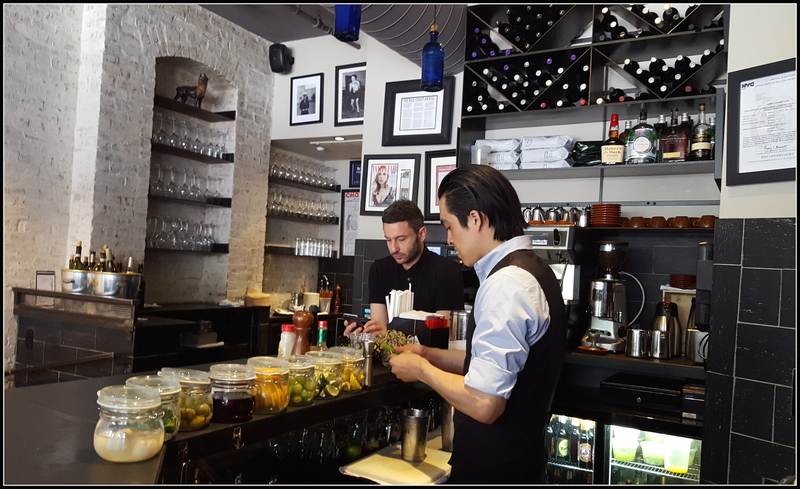 Doors open at 3.30 pm, dinner from 4 to 8 pm. The Dumbo Improvement District is kicking off their first ever Oktoberfest and “transforming the Archway into a traditional German beer hall.” The event runs Thursday October 6th 6:00-10:00 pm, Friday October 7th 6:00-10:00 pm and again on Saturday October 8th from 3:00-10:00 pm (with crafts from Creatively Wild from 3:00 – 5:00 pm. It promises traditional foods including brats and pretzels, “virtual apple picking,” craft beers and activities for adults and kids alike. Entertainment by Melina and the Oompahs and DJ Holzmeister a.k.a The Kaiser. For full details check out the Dumbo BID website. Your correspondent got notice Monday that at 1:00 p.m. yesterday there would be a ribbon cutting by Schools Chancellor Carmen Fariña for the new Dock Street School, a public middle school (grades 6 through 8), drawing “a diverse student body from Bedford-Stuyvesant, Fort Greene, Downtown Brooklyn, DUMBO, Brooklyn Heights, Prospect Heights, Clinton Hill, Vinegar Hill and North Park Slope”, and including a Pre-K facility with space for 75 students. The school’s entrance is on Dock Street between Water and Front streets in DUMBO. Figuring it would work in nicely with my daily constitutional, I set out at 12:30, heading down the Promenade, then Squibb Hill, then Water Street to Dock. I didn’t know what to expect, but imagined a short ceremony at the school’s entrance, so I showed up in my walking attire, t-shirt and cargo shorts (I need those extra pockets for my phone and camera). I arrived a few minutes before one, and no one was gathered outside, so I went in. There was a guard at a desk who cheerfully directed me upstairs. At the landing at the top of the staircase I was facing the school’s office, the rear wall of which displayed the sign in the photo above. 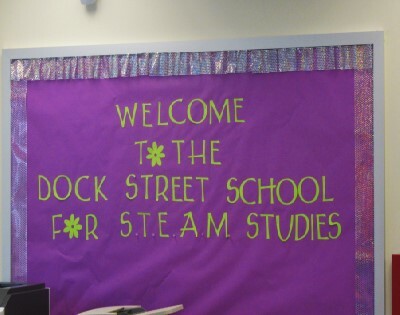 I was greeted by a school administrator and told her I knew “STEM” meant “Science, Technology, Engineering, Mathematics” but didn’t know what “STEAM” meant. She said the “A” was for “Arts.” This is DUMBO; figures. Perhaps we have a mini Cooper Union here, though with no threat they’ll start charging tuition. We were led from the landing outside the school office to the gymnasium, where we milled around waiting for various dignitaries to arrive. I regretted my tee and shorts, as everyone seemed well dressed, and the air conditioning was doing yeoman duty. 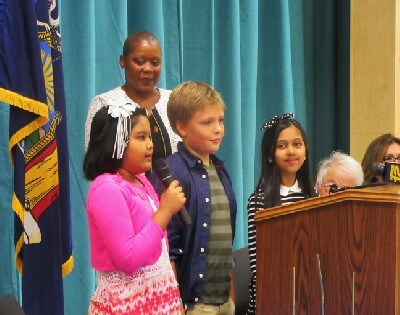 Three students about to enter sixth grade at Dock Street were seated at the speakers’ table; they were interviewed by Mary Frost of the Eagle (photo above). Update: Here’s Mary’s story. 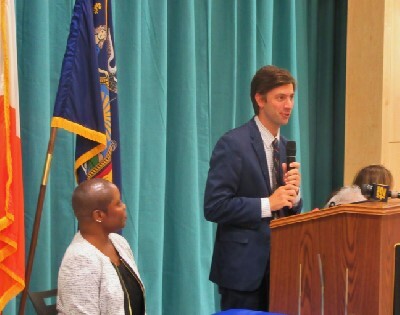 Among the speakers was City Council Member Steve Levin (photo above), who praised the various people and entities involved in making Dock Street School a reality, including the School Board and Chancellor Fariña, District 13 and Superintendent Barbara Freeman, the School Construction Authority and President and CEO Lorraine Grillo, and building developer and owner Two Trees Management and CEO Jed Walentas. To the left in the photo above is Dock Street’s Principal, Dr. Melissa Vaughan. Mr. Walentas also spoke. As you may recall, there was considerable controversy over Two Trees’ proposal to build a high rise residential structure at the Dock Street site. He candidly acknowledged the crucial piece of advice he’d received from former City Council Member Ken Fisher: “Put a school in it.” Mr. Walentas said Dock Street School is “a model that shows how the City can leverage real estate values to create public benefits like building new schools, creating space for cultural institutions or updating infrastructure.” He said he hoped other developers would consider making space for schools in their buildings. This Saturday, August 27 marks the 240th anniversary of the Battle of Brooklyn, also sometimes called the Battle of Long Island because where the fighting took place, in what is now Prospect Park, Park Slope, and Green-Wood Cemetery, wasn’t yet part of Brooklyn. It was the first battle in which regular Patriot troops under the command of General George Washington, as opposed to local militias, faced British troops. It proved to be the largest battle of the Revolution, and went very badly for the Patriots. Several well fought rear-guard actions allowed most of Washington’s army to escape to Brooklyn Heights, where they camped. The British General Howe did not pursue and attack them, hoping that his brother, Admiral Howe, whose fleet as anchored off Staten Island, would sail into the East River and cut off Washington’s escape route. Weather proved to be on the Patriot side, as heavy rain kept Admiral Howe from moving his ships and General Howe from advancing his troops. 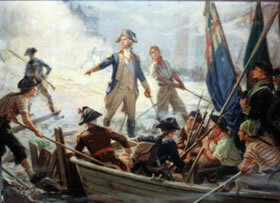 Following a council of war, Washington decided to evacuate his troops to Manhattan. This was done on the night of August 29-30. On this Saturday, August 27, from 10:00 AM to 2:00 PM, Brooklyn Bridge Park and The Old Stone House, site of an especially valiant rear guard stand by a Maryland regiment, are partners in sponsoring an event, “The Great Escape”, commemorating the successful evacuation of the Continental Army, which saved the Revolution from being crushed in its early days. Hosts for the event are Glover’s Marblehead Regiment, from Massachusetts, whose sailors manned the boats that carried the troops, and the Village Community Boathouse. The event is free; it may be cancelled in the event of extreme weather conditions. It will be held on the beach near the Main Street entrance to the park, in DUMBO. For other events coming up at Brooklyn Bridge Park, see here. About two weeks ago, I made the most delightful discovery at the intersection of Henry and Orange Streets: A glass mosaic pigeon affixed to the base of a street lamp. It instantly made me smile and reminisce about how, as a teen, I would frequently spot similar treasures in downtown Manhattan; the jubilant dancing babies of Keith Haring, golden crowns of Jean-Michel Basquiat and prophetic wheat paste “Truisms” of Jenny Holzer. I would later go on to study these artists, now all of them icons, in college. Corner of Water and Main, Dumbo. Photo courtesy of gb_pigeon_nyc. 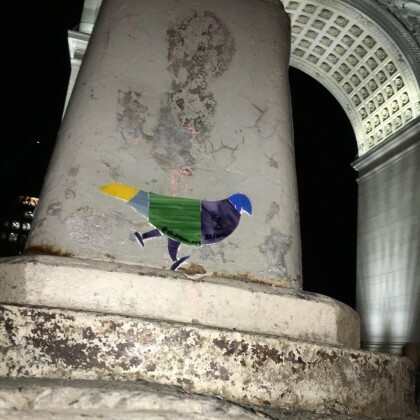 This plucky bird before me tapped into the rich history of NYC street art, one that now includes the work of Swoon and Shepard Fairey. And, here it was, at my literal doorstep and serendipitously across the street from the former and beloved Brooklyn Heights Cinema where I once enjoyed the Banksy documentary, “Exit Through the Gift Shop.” (Last year, the notorious British stencil artist visited NYC and tagged the Promenade. Alas, it was promptly scrubbed by the Parks department.) “Giftshop” introduced me to the work of Space Invader (whose 8-bit tile mosaics I have had the pleasure to spot in Paris-and the approach to the Holland Tunnel of all places) and his eccentric cousin, shop keeper and amateur videographer turned street artist, Mr. Brainwash. So WHO left this little gem at my feet? I leaned in for a closer look and spied an edition number (the Henry Street bird is 26 out of 200) and an Instagram handle, @gb_pigeon_nyc. I thought, “200? Now THAT’s dedication!” It spoke volumes to me about the tenacity of human creativity and the art-making process itself. A private Instagram message and one week later, I found myself sitting across from the artist at the Starbucks in Dumbo. Pigeon #1. Photo courtesy of gb_pigeon_nyc. The birds are hand-cut from remnants left over from commissioned pieces. Each one takes about 20 minutes to assemble. So far 65 out of the 200 have been fabricated and 54 have been mounted throughout parts of Brooklyn, Manhattan and even in Costa Rica. There’s no master plan for the pigeon placement. 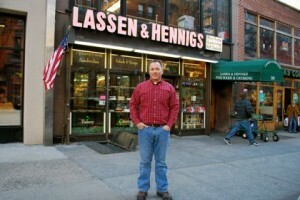 But, to me as a life-long New Yorker, almost every location chosen holds some significance. Washington Square Park. 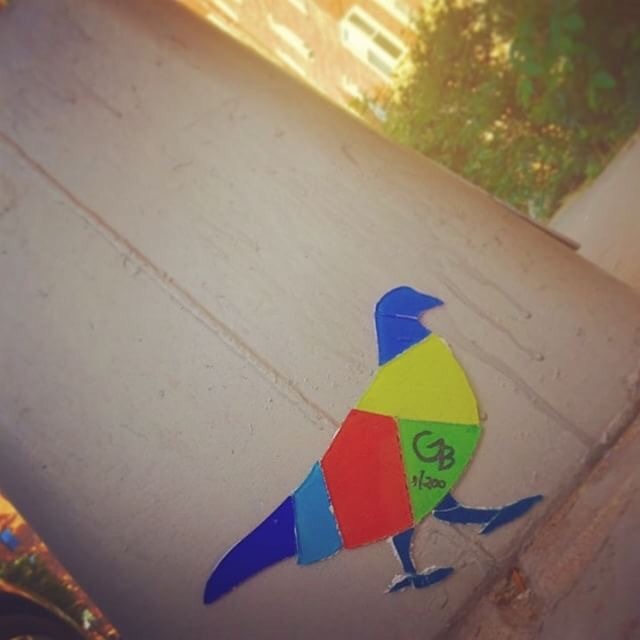 Photo courtesy of gb_pigeon_nyc. Henry Street was selected for its proximity to Sociale. 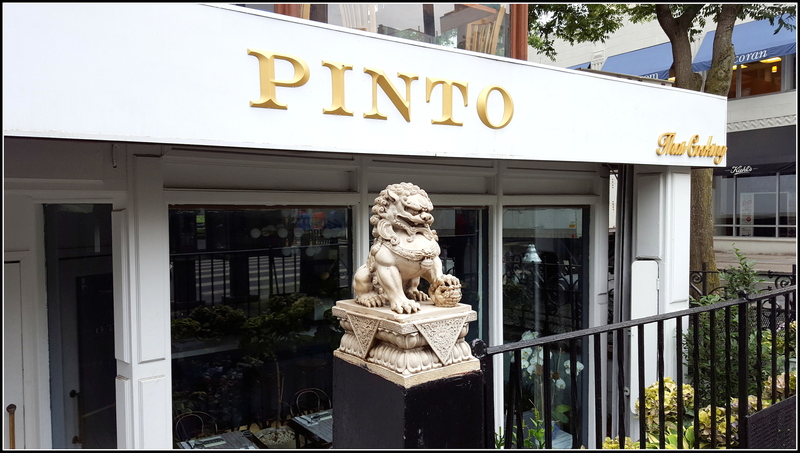 Francesco, the owner is a close friend and he picked the mosaic he liked best. 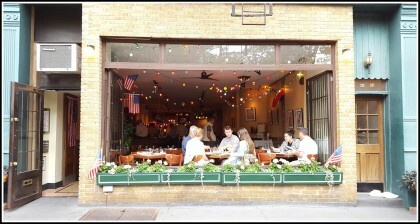 GB is also a long-time regular of Gleason’s gym, so Dumbo is near and dear as well. (Alas, the Dumbo birds have since been removed but can be seen on Instagram). A special red, white and blue pigeon commemorating Independence Day is being held in reserve for just the right spot (“perhaps near the Empire State Building or the World Trade Center”) so it photographs well, and will likely be installed over Labor Day. 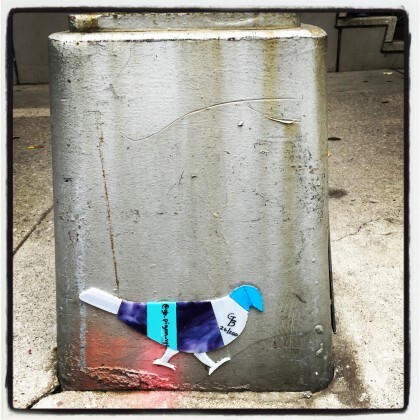 But the best part for GB is that many friends are clamoring to go on pigeon posting missions. They join GB for dinner, walk the neighborhoods and select a location together. Call me a luddite, but who needs Pokemon Go when you can embark on a quest for pigeons? Follow on Instagram and create your own scavenger hunt. 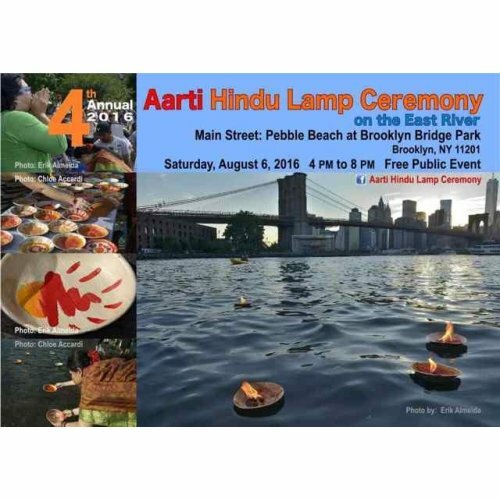 Tomorrow (Saturday, August 6) from 4:00 to 8:00 p.m. at the Pebble Beach near the Main Street (DUMBO) entrance to Brooklyn Bridge Park, Aeilushi Mistry will lead a performance of the Hindu lamp ceremony Aarti, in which lamps are set afloat to “bring peace and harmony to our shoreline.” More information here. On Sunday, August 7 at the Pier 6 Lawns there will be a free Pier Kids event, featuring Private Picassos art and craft activities from 11:00 a.m. to noon, and music by Shira & Friends from noon until 1:00 p.m. More information here. On Monday evening, August 8 at 7:00, at the Pier 1 Granite Prospect, Brooklyn Bridge Park Conservancy, in partnership with Greenlight Bookstore, will present poetry readings by members of The Conversation. The event is free; more information here. For information about other events and activities coming up at the Park, see here. 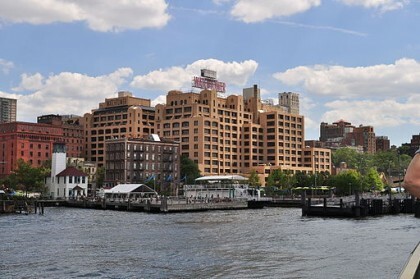 Bloomberg reports that ” a person with knowledge of the negotiations said” Wenner Media LLC, publisher of Rolling Stone, along with Men’s Journal and US Weekly, is considering moving its offices from 1290 Avenue of the Americas, in midtown Manhattan, to the Empire Stores (see rendering) near the Brooklyn Bridge Park waterfront in DUMBO. Bloomberg contacted representatives of Wenner, Wenner’s current landlord, and the developer of Empire Stores, but none would comment. I’d rate the possibility of this happening a few notches above that of Beyoncé and Jay-Z coming to Pierhouse. In summer there are many events and activities at Brooklyn Bridge Park daily; see a list of ones next week here. Parents should note that on Tuesday morning, June 28, from 10:30 to 11:30 at the small granite prospect facing Pier 3, a Brooklyn Public Library librarian will read children’s stories as part of the “Summer Reading Storytime” series that will continue at the same time on successive Tuesdays through August 9. The event is free. More information here. If running is a passion for you, on Tuesday evening be at Fornino, at the Pier 6 entrance, at 6:45 to register for New York Road Runners’ free Open Run. These runs will continue on successive Tuesday evenings until further notice. More information here. 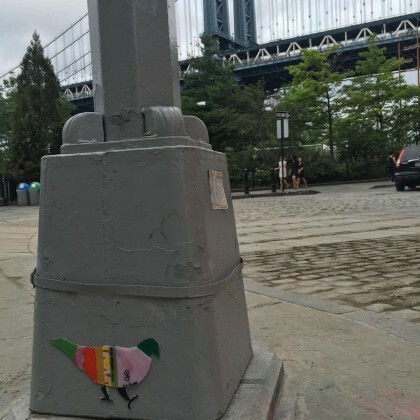 On Wednesday evening, June 29 from 6:30 to 7:30, Julie Golia, of the Brooklyn Historical Society, will lead a tour, starting at the Main Street entrance to the park, that will explore the history of the DUMBO waterfront. This is part of the “Park Spotlight” series of tours. 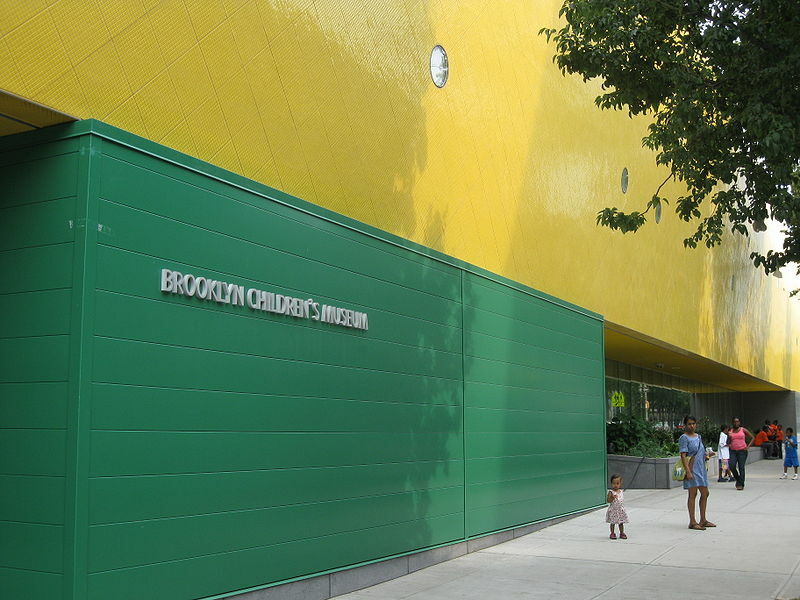 Admission is $10, or $5 for Brooklyn Bridge Park Conservancy members. More information and purchase tickets here. Also on Wednesday the Pop-Up Pool will re-open. Enjoy it while it lasts; this is its final season. The Harbor View Lawn is once again the venue on Friday evening, June 24, starting at 7:00, as park partner The Metropolitan Opera begins its Summer Recital Series, this performance featuring the dynamic young soprano Angel Blue (photo) along with several young Met stars. More information here. On Saturday, June 25, starting at 11:00 a.m. at Fornino, on Pier 6, BBP Gardener Jessica Slade will lead a Pollinators Tour through the flower fields on Pier 6, during which you’ll see the work of various pollinating insects and learn about their habits and roles. More information here. On Saturday afternoon, on Pier 2, the NY Red Bulls Street Team will show off their skills, lead soccer activities for kids and adults, and conduct a 5v5 tournament, the winners of which will get “a VIP experience at Red Bull Arena”. Registration starts at 1:00 at the site, and the tournament goes from 2:00 to 7:00. More information here. Also on Saturday at 1:00 p.m., at 99 Plymouth Street in DUMBO, the park and the Brooklyn Arts Council will present “a curatorial talk with Larissa Simpson” concerning artwork on exhibit there for the NYC Oyster Project. More information here. Sunday morning, June 26, at 11:00 is a most lively time in the park, as all of the following events begin then. You can take the young ‘uns to the Pier 6 lawns for the “Pier Kids” event “Wildlife Theater presents Butterfly Boogie”. Young or old, if playing good chess is your ambition, also on Pier 6 you can attend Checkmate 101 with Zeebedee Collins. Up for some water sport? 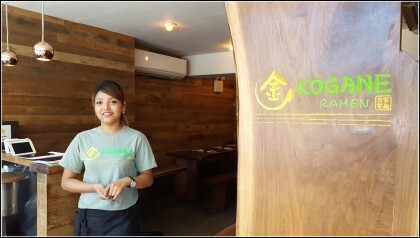 Go to Pier 2 for Kayak Polo. Be there by 11:00 sharp to reserve your space. Want to learn about the origins of the park and the history of the waterfront that preceded it? Be at the Pier 1 entrance at 11:00 for a docent guided tour. All of these activities are subject to cancellation in the event of severe weather. Best Chinese: NONE. As reader “Studio Brooklyn” says, “Go to Flushing Queens and bring a friend who speaks Mandarin.” Or take Karl Jungersfeld’s advice and eat “Chinese food in Chinatown either on 8th Ave in Bklyn or Downtown Manhattan.” Although, if you’re in no mood to trek to Sunset Park or another borough, “St. 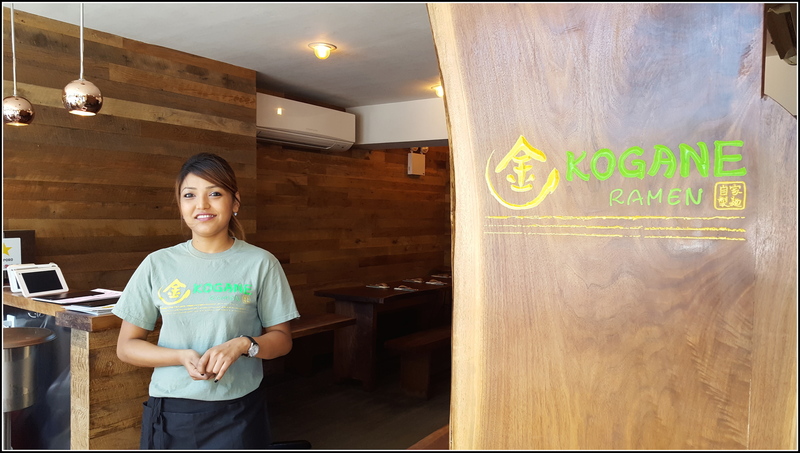 Georgette” recommends Yaso Tangbao in downtown Brooklyn, and the BHB Food Editorial Board wholeheartedly agrees. Thanks to all for participating. 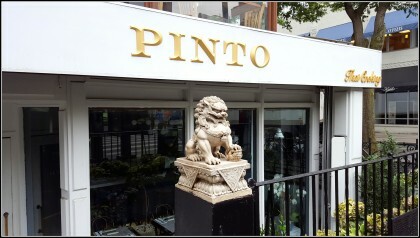 Let’s go out and eat! 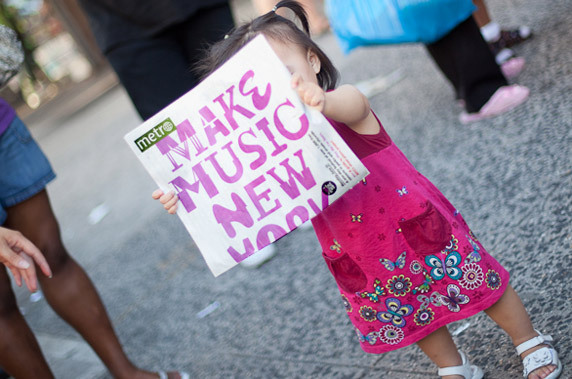 On Tuesday, June 21 Make Music New York will present hundreds of free outdoor (the events will be cancelled in case of rain) musical performances all around New York City. 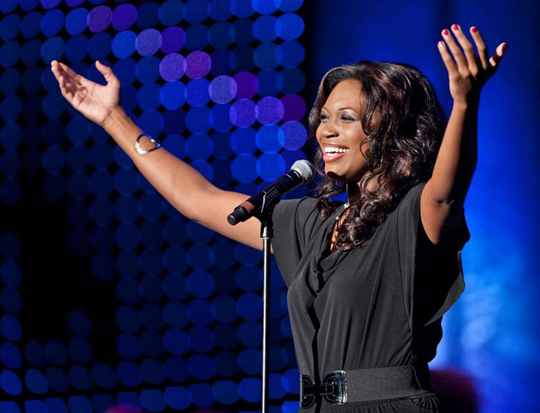 In our neighborhood, the music will start in Cadman Plaza Park with a concert by Dominion (“experimental”) from 12:15 to 1:15 p.m., followed by Brightfully (“pop”) from 1:15 to 2:15, then Janelle Costa (“electronic”) from 2:15 to 2:45, then The Afro Nick (“rock, indie rock, pop”) from 3:00 to 4:00. Pier 1 in Brooklyn Bridge Park will be the place for brass, hosting Kenny Wollensen’s MEAT (“jazz, experimental, brass”) from 4:00 to 4:45 p.m., then Triad Brass (“jazz, hip-hop, classical”) from 4:45 to 5:30, then the Funkrust Brass Band (“punk, funk, brass”) from 5:30 to 6:15, and The Marching Cobras (“brass”) from 6:15 to 7:00. From 7:00 to 8:30 p.m. Hot Tea (“Latin, world, jazz”) will perform in front of the Heights Cafe, 84 Montague Street (corner of Hicks), and from 7:30 to 8:30 p.m. Jaime Garamella (“singer/songwriter, indie-folk, rock”) will sing in front of 132 Lounge, 132 Montague (between Henry and Clinton). There will be other performances in Cobble Hill, DUMBO, Red Hook, Downtown Brooklyn and other nearby locations. Check the map. 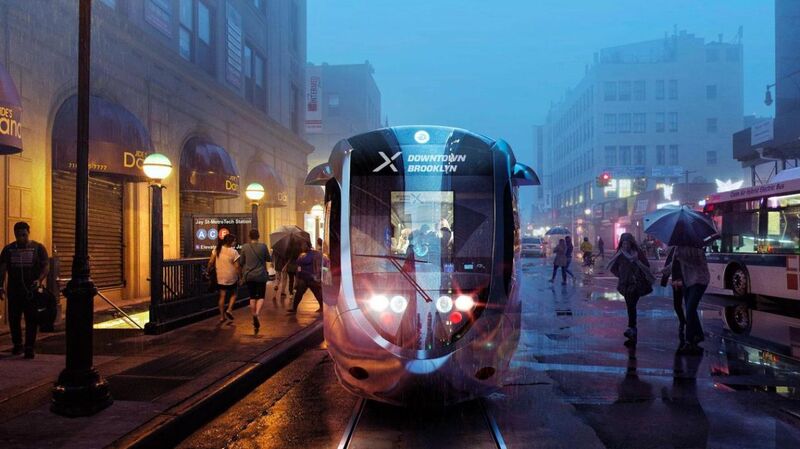 or, for our British friends, tram, line that would connect Sunset Park in Brooklyn with Astoria in Queens, serving Red Hook, Cobble Hill, Brooklyn Heights, DUMBO, Vinegar Hill, the Navy Yard, Williamsburg, Greenpoint, and Long Island City along the way. The notice from the BHA says the line “would pass through Brooklyn Heights.” A map provided by the Mayor’s office in February appears to show it going east of the Heights, perhaps along Cadman Plaza, while a “sneak peek” at the route from Crain’s, also from February, shows it going below the BQE, probably along Furman Street. Perhaps there will be better information about the route at Monday’s meeting, or perhaps it remains to be decided. Sign up to attend here. [s]cale the DUMBO Boulders [photo], explore the wonders of nature at our Environmental Education Center, get down with mom and dad at our dance party, decorate a replica of the Brooklyn Bridge with flowers, and enjoy classic games on the new lawns under the Manhattan Bridge. There will be free face painting for the first 100 kids to arrive. More information and schedule of events here. 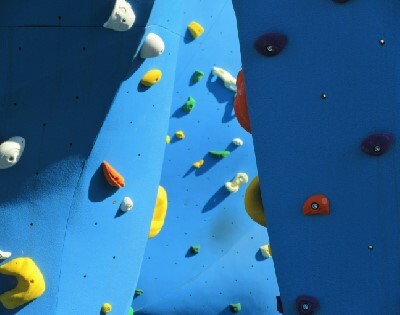 Photo: bouldering wall in Brooklyn Bridge Park; C. Scales for BHB. The Real Deal reports that an investment group led by two prominent Manhattan property owners and developers, Jared Kushner and Aby Rosen, are said to have agreed to purchase the Watchtower headquarters complex at 25-30 Columbia Heights, along with a site on Jay Street in DUMBO that has substantial development rights, for $700 million. No word is given on the prospective purchasers’ plans for the headquarters complex. The same group previously purchased another large complex of buildings on Sands Street from the Witnesses, which they converted into “Dumbo Heights”, office space housing Etsy and other on-line and tech oriented companies. As a north Heights resident, I welcome this purchase. The buyers have already shown, through their redevelopment of the properties they’ve purchased and are turning into Dumbo Heights, that exciting days are ahead for these buildings. The question is, of course, what will happen to 119 and 124 Columbia Heights and all the other JW properties still on the market or still to come, for example the mammoth Towers Hotel, which fronts on Clark, Willow and Pineapple Streets. Photo: Joe Mabel, Wikimedia Commons. 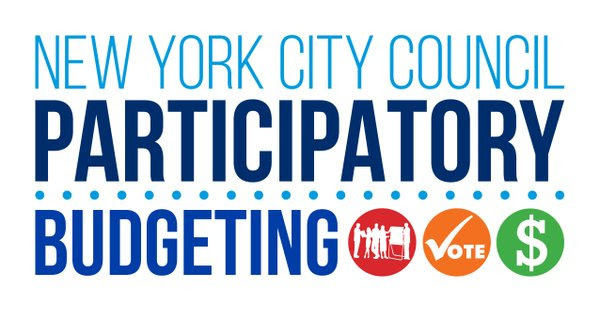 It’s Participatory Budgeting time again and City Council Member Steve Levin wants to know how you would spend up to 1.5 million dollars of the city’s money. “These funds can go towards capital projects in our parks, our schools—or wherever else the residents of our district decide,” Council Member Levin explains via his Tumblr blog. All constituents of D33 aged 14 and over may cast their ballot for up to five projects. 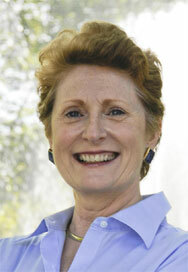 Voting takes place the week of March 26th and centers will be set up across District 33. Conveniently, Brooklyn Heights residents may vote right here in the hood at P.S.8, 37 Hicks Street on March 30th or 31st from 8am – 11am. 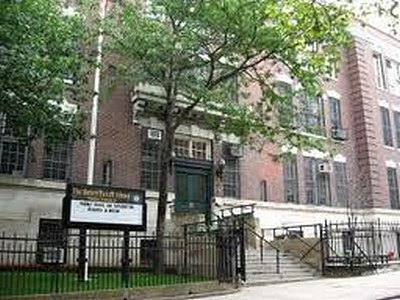 PS261 is a K-5 school with 800 students. The wiring was upgraded but to utilize the improvements the students need new computers; four new carts will give them what they need! Gowanus & Wyckoff residents will help determine grounds improvements, to be installed at two NYCHA developments, resulting in more pleasant areas for enjoying time outdoors and talking with friends. Install additional turnstiles for York St Station in 2017 which will reduce congestion and long lines for the 9,000 weekday riders now limited to only two turnstiles. DNAifno reports that Kindergarten waitlists have shrunk 9% over last year. The article has the complete list of all the NYC schools with waitlists this year. DOE officials reported that 49,000 students, or 71 percent, received an offer from their first choice school, down 1 percentage point from the year before. To accept their Kindergarten offers families must contact the school directly to make an appointment to pre-register by April 8. Pre-registering their child(ren) does not prevent them from receiving an offer at a school where they are wait-listed. “If you received an offer letter for PS 8, you may visit the lower school main office to pre-register Monday through Friday from 9am-12pm by April 8th, 2016. Ask for Ms. Cloud or Ms. Carrier. Click HERE for additional registration information for P.S. 307. 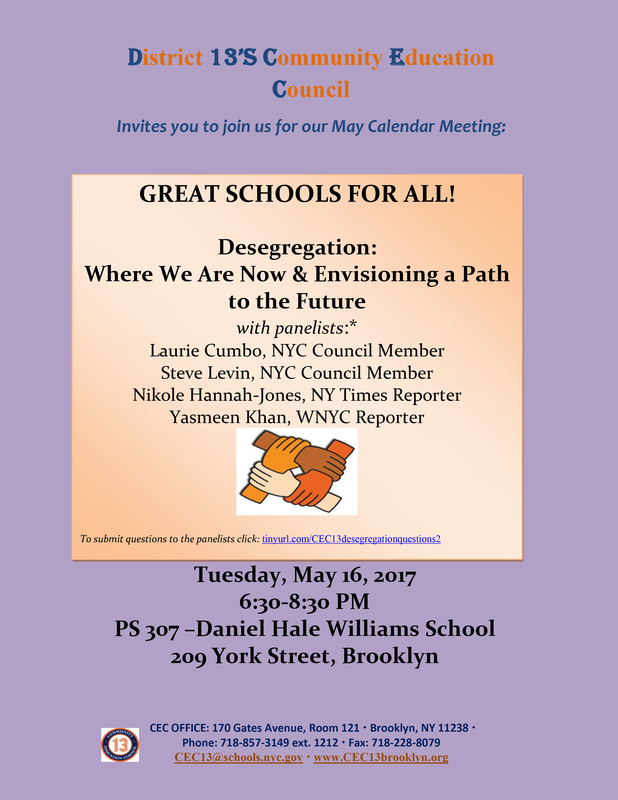 EDIT: This post has been updated with registration information for both P.S.8 and P.S. 307. 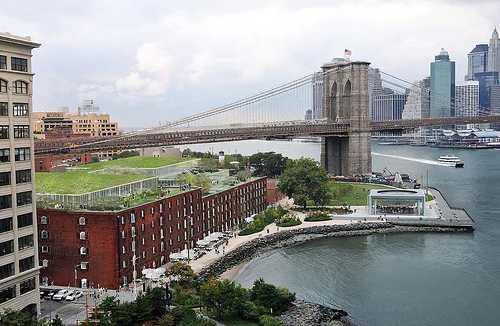 So proclaimed David Lombino, the director of special projects for Two Trees, in a New York Times story published last weekend and accompanied by stunning photographs of the landscape currently inhabited by the Jehovah’s Witness complex that straddles Brooklyn Heights and DUMBO. His conclusion is hardly a surprise, given the location of the JW properties and the Brooklyn real estate, and the article doesn’t spend much time analyzing the effects of the thousands of residents that will likely occupy the buildings and land currently on the market. Among the properties available is a three-acre parking lot on Jay Street the development of which will not require a public review process and that could on its own, according to the article, eventually house 1,000 residents. The Jehovah’s Witnesses began divesting their local properties more than a decade ago, beginning with the building that became One Brooklyn Bridge. And while the article doesn’t examine future effects of the development, it does cast an approving eye on the Witnesses’ presence in the bad old days of the neighborhood, when DUMBO was a scary place inhabited by packs of roaming feral dogs. And it estimates that once the properties return to the city’s tax rolls, they could bring in up to nearly $7 million annually. 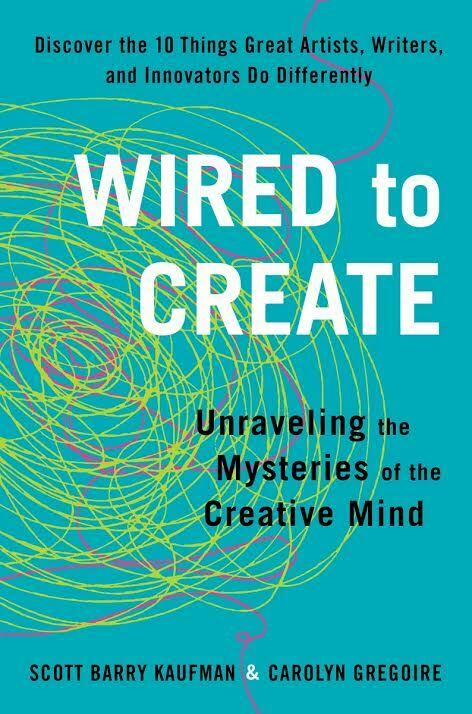 This Thursday evening, January 21, from 7:00 to 9:00, co-authors Scott Barry Kaufman and Carolyn Gregoire will be at Powerhouse Arena, 37 Main street, at Water Street, in DUMBO, for a launch and discussion of their new book, Wired to Create: Unraveling the Mysteries of the Creative Mind. Kaufman is also author of Ungifted: Intelligence Redefined, serves as scientific director of the Imagination Institute, and is an advisor to The Future Project. The event is free. There are more details and you can RSVP here. As a follow up to the January 5th 6 to 3 “yes” vote to re-zone P.S. 8 and P.S. 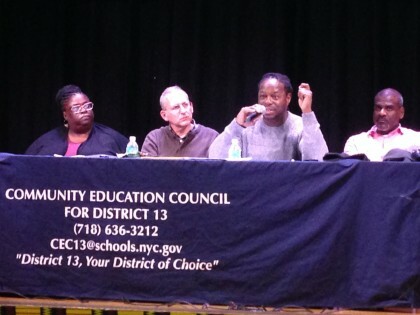 307, the CEC13 has issued a statement thanking “parents, community members, local organizations and elected representatives” along with school administrations and staff for their dedication and engagement over the many months of meetings, dialogue and debate. “The Office of Student Enrollment should already have sent an email to all families whose address was impacted by the rezone, and who had submitted kindergarten applications before the change. The system has been updated so families applying now are seeing their new zoned school show up on [the DOE’s] SchoolSearch and in the [Kindergarten] online application. Families should contact ESEnrollment@schools.nyc.gov with further questions. It must be added that DOE has extended the Kindergarten Admissions deadline. Families now have until January 20th to submit their applications. A Lower School open house will be held at P.S. 8 on Wednesday, January 13th from 9:00 – 10:30 am. An additional tour is scheduled for March 2nd, 9:00 – 10:30 am. Per the school’s website, tours scheduled at P.S. 307 concluded on January 1th. Based on this corespondent past experience, it is worthwhile to call the schools if you have missed- open houses. It is not often that ordinary citizens have an opportunity to take a courageous stand and change the course of many children’s lives. I know that last night’s decision involved a lot of soul searching and careful deliberation on all of your parts. I congratulate you on looking toward the future and for understanding that together we can forge a better school system for all of our students. You have set a high bar for other CECs to meet, and I encourage you to think of next steps in creating a district-wide plan to fit the needs of your growing community. After months of meetings, public discourse and national news coverage, the District 13 CEC has voted in favor of the re-zoning in a 6 to 3 split. The Fort Greene-Clinton Hill Patch live blogged the proceedings. Several members of the Farragut community spoke out in opposition to the re-zoning echoing the previously-voiced concerns that access to hard-won programs at P.S. 307 would be taken away should the proposal pass. P.S. 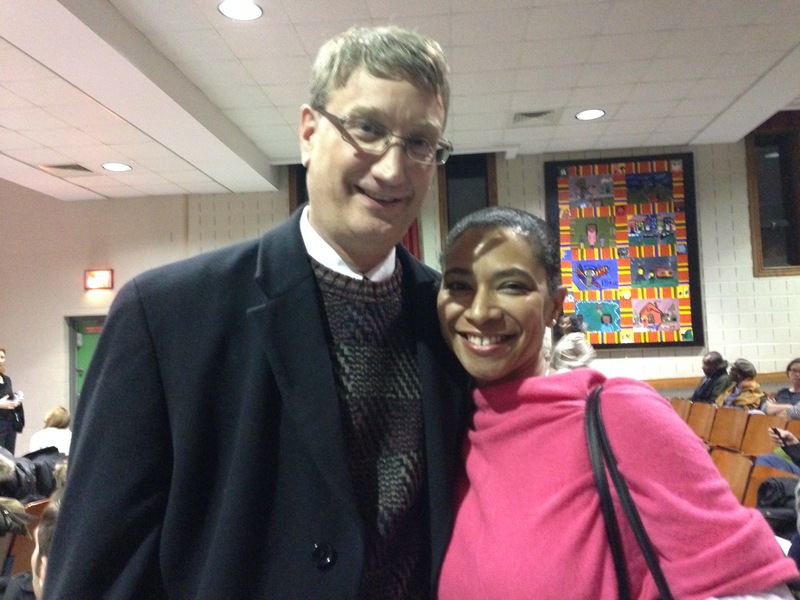 307 PTA Co-President, Faraji Hannah-Jones expressed extreme disappointment in the DOE for not meeting the terms a neighborhood coalition’s action plan for P.S. 307, including an additional five years of funding for the Magnet grant stating, “We feel disrespected.” Executive Director of the DUMBO Neighborhood Alliance, Doreen Gallo spoke on behalf of several DUMBO parents in attendance and read a statement in opposition to the plan citing, in part the DOE’s failure to properly engage the DUMBO community for small group feedback meetings promised when the vote was delayed in October. The vote finally came at 10:30 pm and took exactly sixty seconds. 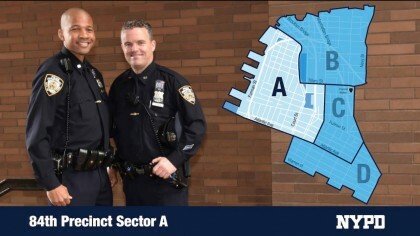 The new zone lines shift the Dumbo and Vinegar Hill neighborhoods to the P.S. 307 zone and returns three buildings at Farragut Houses back to P.S. 307 zone. Siblings are grandfathered in. Meaning, if you live in Dumbo or Vinegar Hill and you currently have a child attending P.S. 8, their sibling will receive admissions priority at P.S. 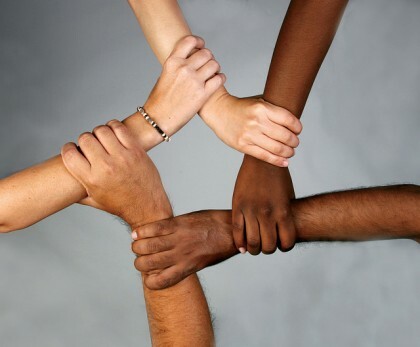 8 over new students within the zone who do not have siblings. In short, your children will be able to attend school together. The new zoning is effective for the 2016-2017 school year. Kindergarten admissions remains open until January 15th. Parents may rank up to twelve schools on their application. Children have the highest priority at their zoned school. The Kindergarten Directory lists the admissions priorities for each school. Throughout the evening electeds and CEC members encouraged the respective communities to remain engaged with the DOE, CEC and their school leadership so that the larger issues raised by the debate could be addressed collectively. Just prior to the vote, Rob Underwood laid out via his Tumblr blog what he feels are the most pressing challenges facing District 13. What are your thoughts on how the two school communities can move forward from here? What issues are most important to you for your child’s education? Comment away!